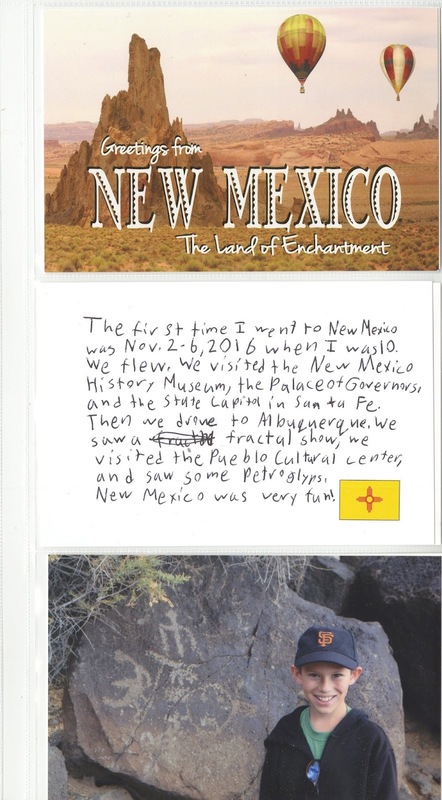 We visited two more new-to-Trevor states recently (Utah in June and New Mexico in November) which means more pages to add to Trevor's Little Passports 50 States Album! 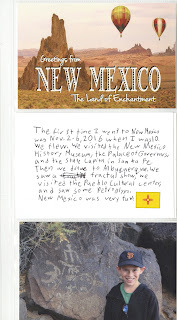 I took the pages out of the album to scan them rather than photographing them in the album. I think it looks a lot better, so I scanned all of his completed pages and replaced the photos in the previous posts. 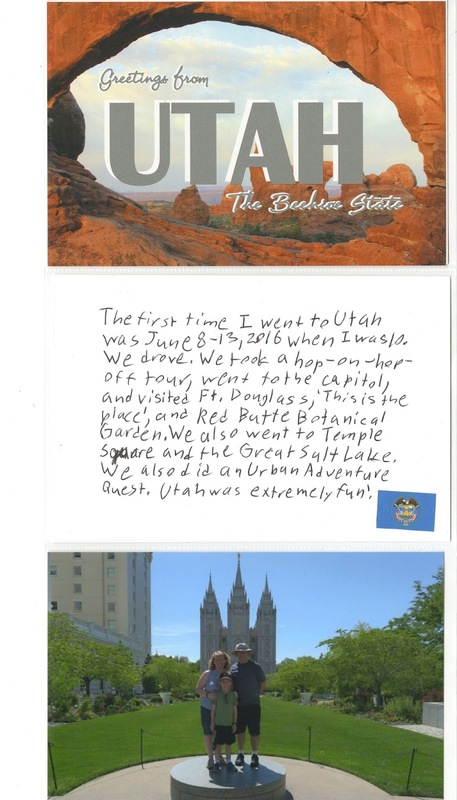 This brings Trevor's total to 16 states visited. Number 17 is coming up in January!